The way we move through and navigate around different parts of a city is greatly affected by the design of buildings, spaces and roads. What if reimagining just one small part of a a neighbourhood could radically change how a place looks, functions and feels? What if that transformation were co-designed and co-produced by the people who live, work and play there? At this two-part event in partnership with Sheffield’s urban room, Live Works, we’ll explore the process, experience and outcomes of co-design and co-production in our city spaces and places. For our first event of the day, we’ll look at the potential role of the udercroft and space around the Moorfoot building as a point of connection between the North and South of the city of Sheffield. Working as a group, attendees will bring their local knowledge, creativity and energy to develop and share design ideas and co-produce drawings and models to test and share their ideas. 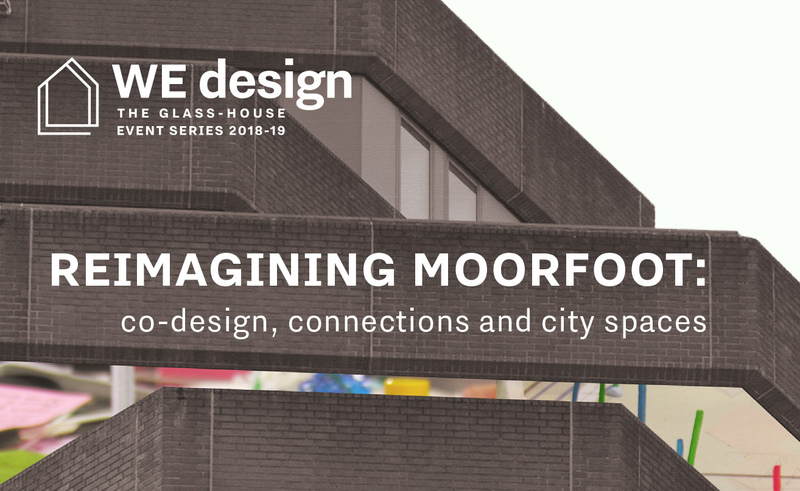 Our evening event will bring together and share the co-designed ideas and co-produced prototypes from the afternoon workshop to consider the specific question of reimagining the area around and underneath the Moorfoot building. We’ll go on to explore the wider question of these processes as a means of improving our cities’ places and spaces. Community-led and community-engaged design are increasingly part of the narrative of development and regeneration, but what does this really mean in practice for those involved? How can we navigate the language and various approaches of people-centred design and ensure that these processes enable agency for local people? We Design launched in London on Wednesday, 17 October, with BEYOND BUZZWORDS: the language of collaborative design. At this event, we explored the different ways we talk about and enable people’s involvement in design, challenging and formulating definitions, collecting stories and identifying new opportunities for different types of collaborative design. Read about it here. Further events will follow in Edinburgh in January 2019, before returning back to London with our round-up event in March 2019. We Design events are active spaces, in which participants work together to develop ideas, proposals and prototypes which challenge their own and other people’s perceptions of design and placemaking.